I've been thinking about what i want to achieve in 2016, particularly regarding my hair. This past year of having natural hair has taught me that every single month counts and i really can't afford to slack in my regimen. When i think about it, i could have retained more length in 2015 if i had specific goals set out and had been more consistent. Achieve full APL and be grazing BSL by Christmas 2016. If you're wondering why i'm only aiming for this, i believe goals should be realistic and attainable. If i achieve more then Praise God! I'm currently on a 6 months protective style challenge starting Dec '15. Castor Oil scalp massages every 2-3 days. Deep Conditioning with every wash. I have been wanting to try out water only washing and clay cleansing, so i will definitely incorporate that into my 2016 hair regimen. Above all else, i'm going to pray. YES i'm going to pray for my hair to grow long and healthy. Think about this for a sec.. we can pray for family, career etc so why can't we pray for our hair growth too? Right! I'm really interested to know if you have any hair goals for the coming year and an execution plan. Lets discuss below. Which vitamins do you take, is it the hairfinity? I haven't thought of praying for my mane hehe it's high time i start! Prayer does work for hair growth (if it's in God's will that is of course). My cousins mother died in 2011 and as a teenager she didn't have anyone to do her hair. Before her mother died she had a relaxer put into her head. I've never had a relaxer, only press and curl. When I started doing her hair, I would wash it every three weeks and blow dry/straighten it. 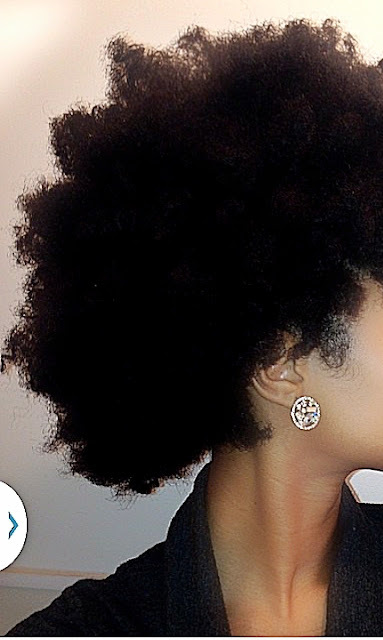 I would use coconut oil only for her hair, prior to straightening. A light amount not too much and not too little. I then began to clip her ends every 4-6 months out of the year. The perm started to come out of her hair and she did have breakage from it coming out but I would trim where the breakage was. Finally after a full year the perm was GONE! I didn't do a BIG CHOP. I did exactly how I described. Then her hair started to REALLY GROW! It started below her ears and went to 2-3 inches below her back. Every time I would do her hair I would pray and ask God to show me how to care for it. I told God I knew how much my aunt loved her daughter and I wanted to show my love for her daughter through her hair. It was hard doing her hair at first because I would cry so much afterwards. It was I guess apart of my grieving process for my aunt. All I could think about was how I missed my aunt and how much my cousin missed her mother. She looked up to me as a mother figure but I would never and didn't want to replace her mom. Everyone in my family couldn't believe how long I had grown her hair. But it wasn't me, I asked the Lord to work through my hands. And he answered that prayer. It took 5 years but her hair was the longest it had ever been and it was healthy!